Don't miss a rare live sighting of the one and only Adam Sandler as he dusts off his wry observations for a solo comedy tour that'll have you rolling in the aisles. A stalwart of the 90s comedy scene, Sandler rose through the ranks to become one of Hollywood's most prolific comedy actors and producers. He's sure to have a special guest or two up his sleeve, so expect a brim-filled show of comedy legends. 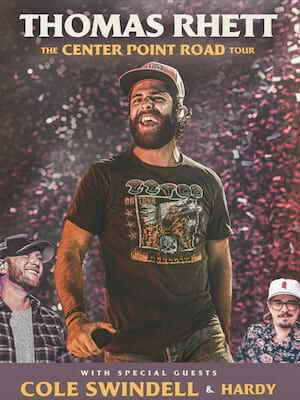 The last few years have been golden for swaggering country popster Thomas Rhett. Gaining popularity on both sides of the Atlantic since 2013's No.1 bop 'It Goes Like This' he's now heading out on his Very Hot Summer Tour in support of his third album 'Life Changes' which is full of a diverse batch of content and is said to be his biggest and boldest record in his career. Joining him on the road for the extensive series of dates is Dustin Lynch and Russell Dickerson, along with his father, hit songwriter Rhett Akins. 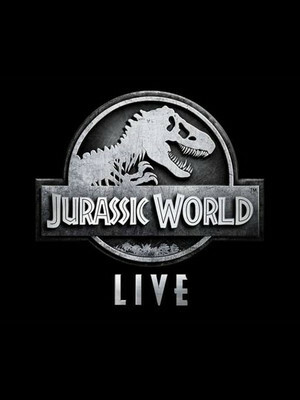 Because humanity just hasn't seem to learn from the poignant lessons of all five of the Jurassic Park films, the delightfully terrifying dinosaurs of the ever popular franchise come roaring to life during the hotly anticipated Jurassic Park Live Tour this fall! Don't worry though, real life scientists haven't quite made the breakthroughs their feature film counterparts did, the terrible lizards on this special arena tour are fully animatronic yet fully life-sized replicas that extend up to forty feet in length. About New Haven Theater: We are an independent show guide not a venue or show. We sell primary, discount and resale tickets which may be priced above or below face value. Please note: The term Webster Bank Arena as well as all associated graphics, logos, and/or other trademarks, tradenames or copyrights are the property of the Webster Bank Arena and are used herein for factual descriptive purposes only. We are in no way associated with or authorized by the Webster Bank Arena and neither that entity nor any of its affiliates have licensed or endorsed us to sell tickets, goods and or services in conjunction with their events. New Haven Theater is part of the Theatreland Ltd Collection. Established in 2003, Theatreland offers the largest individual collection of websites providing complete, impartial guides to all the theatrical, musical and performance arts events and venues in the world's greatest theatre cities, from New York's Broadway to London's West End and from the showrooms of Las Vegas to Shakespeare's Globe Theatre.